Tecno Bajardi s.r.l. has been designing and producing plastic injection and die-casting moulds for thirty years. This has allowed the company to focus on its growth and innovation in the precision mechanics industry and to ensure its customers cutting-edge results not only under the technological point of view but also because of its competitive prices. In its new production plant in Turin, a very important city for car manufacturing and industrial design, Tecno Bajardi s.r.l. autonomously designs and makes all the mould components. 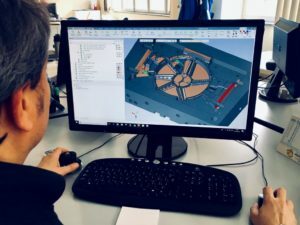 Thanks to our twenty years’ experience, our technologies, the innovative approach and our experts and technicians’ knowledge, we can design and produce high-quality moulds: our clients choose us because our quality and reliability are superior. Tecno Bajardi designs and makes the mould required from A to Z. Designing does not mean for us just arranging a certain equipment following predetermined guidelines. However, using specific software, that help solving technological problems numerically calculating their solution, we can give the customer advice, too, in order to obtain from its tooling the best result ever both considering effectiveness and efficiency. The CAD CAM CAE structure is our activity core. 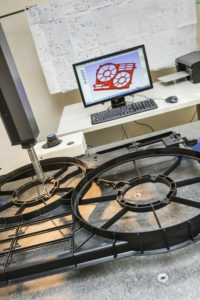 The technology we design, along with the whole production process are linked thanks to our computer network to the machine tools so that we can easily manufacture the products required. Specific requirements from the customer are Tecnobajardi’s goal and achievement, which the company obtains thanks to its excellence, accuracy and proficiency. All the process, from receiving the order to its shipment, is unified and in compliance with UNI EN 9001-2008 standards, a certification we attained and we have maintained since the nineties. Our work is quality-oriented and aims at the continuous improvement in order to achieve efficiency for all the aspects or our productive circumstances. This can be obtained using at our best all the powers we have: our human resources and facilities. We interconnect them employing processes and methods, we constantly update and modify in order to optimise our resources meeting the market and our customers’ needs. Thanks to its sales department, that can support the client with the product specifications, Tecnobajardi focuses on the customization of its items. This is realized thanks to Tecnobajardi’s design office, too. They can interpret the customer’s requirements turning them into a concrete project able to meet its needs and target price. Our production department realizes the particular specifications verifying its manufacturing and offering the customer its knowledge and assistance. In addition to this, we have a metrology laboratory, that confirms and tests the processes as well as the final product, and a quality check office, which supervises the whole procedure in order to ensure the best quality level for our items. Tecno Bajardi entirely designs and produces the moulds required. Designing does not mean for us just arranging a certain equipment following predetermined guidelines. However, using specific software, that help solving technological problems numerically calculating their solution, we can give the customer advice, too, in order to obtain from its tooling the best result ever both considering effectiveness and efficiency. The CAD CAM CAE structure is our activity core. 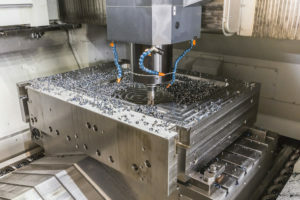 The technology we design, along with the whole production process are linked thanks to our computer network to the machine tools so that we can easily manufacture the products required. We manufacture using cutting-edge machinery. 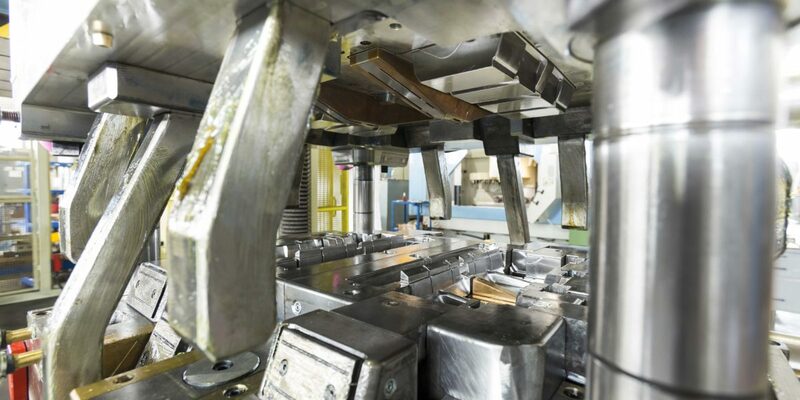 We employ five axis machining centres and three axis CNC milling machines. They are all provided with automatic tool change in order not to stop the production flow even in case of unattended machines. We work with copper and graphite electrodes built on re-positioned pallets in order to ensure an efficient erosion on machines that have state-of-the-art generators and up to 24 change automatic electrode changes. We also have four axis wire cutting machines and up to one m deep-hole-drilling machines. Assembling and monitoring are our most experienced technicians and highly qualified team’s tasks. They are good at problem solving and have their own decision-making autonomy. TECNO BAJARDI has been designing and producing plastic injection and die-casting moulds for years. Their fields of application are the automotive industry, household appliances, products related to the mobile telephones and mechanics. Our national customers are our strong point, even if the international ones play an important role, too.